Each year, pests are responsible for bites, stings, allergies, unsanitary conditions, and millions of dollars in property damage. If you’re experiencing a pest control problem in Oregon, the technicians at Point Pest Control are your best defense against the problems they will inevitably cause. Our technicians are trained with the latest technologies, thorough knowledge of the field, and knowledge of the most common problems endemic to the Northwestern part of the United States. We have helped thousands of satisfied customers all across the country manage serious problems that threatened both their family and their homes. Give us a call at (541) 298-4979or contact us online and we can discuss which approach will work best for your pest control needs. Bed bugs can infest a home or a commercial property from almost anywhere. Even has professional pest control technicians, we have tracked bed bugs from a client’s home to our own (in case you’re ever wondering if a career in pest control is for you). They can be tracked from residential homes and apartments onto public transit and today, even commercial office buildings, hotels, and movie theaters are not safe from the scourge of bed bugs. Pointe Pest Control employs a number of effective techniques when determining likely areas of infestation. This includes the use of dogs whose nostrils remain one of the best sensors known to mankind. Our dogs are trained to detect bed bugs by smell alone and allow us to locate specific problem areas. Depending on whether or not the infestation is secluded to one room, we can either turn up the heat by raising the temperature of the room beyond the bed bug’s tolerance or, in some cases, liquid spray may be more effective. If you have a bed bug problem, contact Point Pest Control immediately. People tend to believe that termites can only eat wood, but that isn’t the case. Termites can eat just about anything. This includes plaster, plastic, paper and more. Most importantly, termites tend to access most homes by infiltrating the foundation. Here, they can do serious damage and cost property owners millions of dollars each year. If you have a termite problem, Point Pest Control can help eradicate it and ensure that the termites do not return by shorting up cracks in your foundation. A rodent problem signals a serious issue in the exterior of your house. While rodents are notoriously crafted at infiltrating residential homes, there must be some crack somewhere in the exterior where they are getting in. Once they’re there, they can cause serious damage to your home and a health hazard to your family. Point Pest Control will identify where the rodents are coming in and get rid of the rodents that are there. As their name implies, carpenter ants are excellent builders and craftsmen. But they’re also quite lazy when it comes to getting materials. Instead of going out to the woods, they’ll just take what they can find nearby. That includes your home. They will then build tunnels between their nest and your home to make the logistics easier and more efficient. Meanwhile, your house is being dismantled chunk by chunk. Point Pest Control will help rid you of your carpenter ant problem and potentially save you thousands of dollars in repairs. Some people like having spiders around because they help control the population of other invasive pests. On the other hand, the spiders wouldn’t be there if you’re home was not flush with a serious supply of insects. In addition, Oregon has two types of poisonous spiders: Black widows and hobo spiders. So you’re better off getting rid of spiders than relying on them to solve your pest problems. Not only do wasps look like giant flying stingers, but they actually use those stingers to sting people. For this reason, you do not want them around your backyard, deck, shed, or anywhere else. If a wasps nest has set up shop on your property, our technicians can safely remove it. 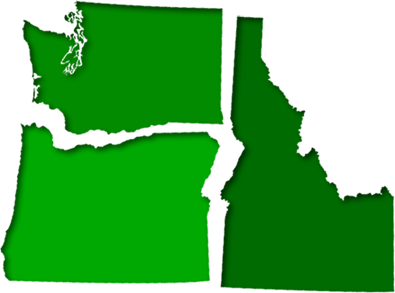 The pest control technicians at Pointe Pest Control help both Oregon families and commercial property owners remove invasive pests from their property. Give us a call or talk to us online and we can begin discussing a plan of attack to take care of your pest problems for good.